Megatrone themes has been purchased 7, rating: 4/5 based on 4 reviews. Megatrone is a Shopify template developed based on modern technologies such as CSS 3, HTML 5 and Sass CSS. This theme is beautiful and eye-catching. It suits the technology stores, electronics, fashion, apparel, clothing, shoes, jewelry, accessories, etc. If you are wondering what to choose from your online store, Shopify is the most modern, Megatrone Shopify theme is the smart choice. 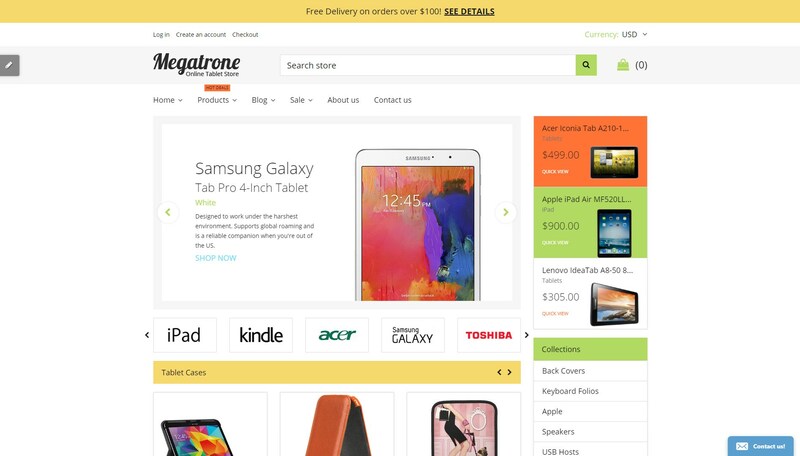 Don’t hesitate, select and explore the Megatrone Shopify theme today!